With the death of legendary film critic and video game adversary Roger Ebert, questions surrounding video games artistic validity have been popping up more and more. What’s interesting about this is when you observe the historical lineage of both film and video games there are pretty astonishing resemblances. This article will briefly observe the timeline of both film and video gaming, highlighting the important similarities they shared when evolving into what we know them as today. The cinema and video gaming has an ambiguous and highly debated history when it comes to defining their true origins. Coincidently pre cinema devices were extremely participatory, they were almost the video games of their time. 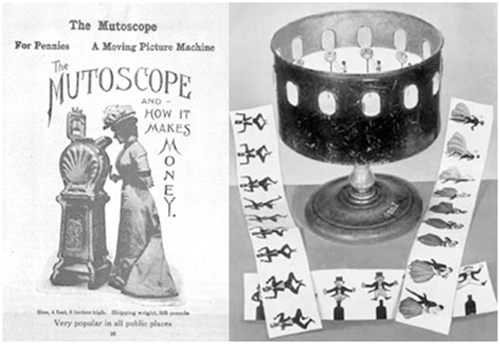 From shadow puppets, magic lanterns, mutoscopes and optical toys, most to which were operated by the person viewing them. Video games surprisingly had a very similar beginning, an almost novelty appeal you could say. 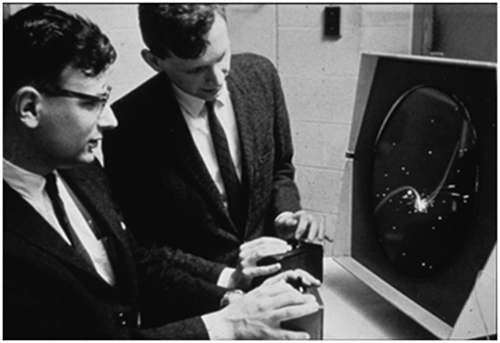 Historians usually trace back video games linage to Thomas T. Goldsmith Jr. and Estle Ray Mann’s Cathode ray tube (Also known as Cathode ray tube amusement device). The device consisted of a tube that created and manipulated electric signals that were displayed as rays of light on a monitor. Resulting in a player moving a controller, which would then move the rays of light on the screen, it was almost like the 1940’s version of the Nintendo Wii. Both cinema and video games went through similar changes during their transition between novelty side show gimmicks, to idiosyncratic modes of entertainment. They almost began to adopt rules and conventions, for the cinema it was a visual grammar and for games a sense of regulation (or game play). Film makers during the early 20th century like D. W. Griffith were developing visual codes that even to this day are the foundational backbones of film language. Russian filmmakers like Sergei Eisenstein were hypothesising the effects of editing and Yevgeni Bauer cultivated ideas regarding the aesthetics of cinematography. Early electronic games began to evolve competitive systems, almost replicating the “person vs person” concepts you find in sports. A game like Spacewar! in the early 1960’s consisted of two players attempting to shoot down each other’s spaceships. It may seem unsophisticated compared to what we have now, but the video game medium was beginning to refine itself. Like all good mediums, at some point in time they influence religious like tendencies, more specifically places of worship. As film revenue increased drastically, promoters and film studios rushed to build to most prolific and beautiful theatres to parade this amplifying medium. 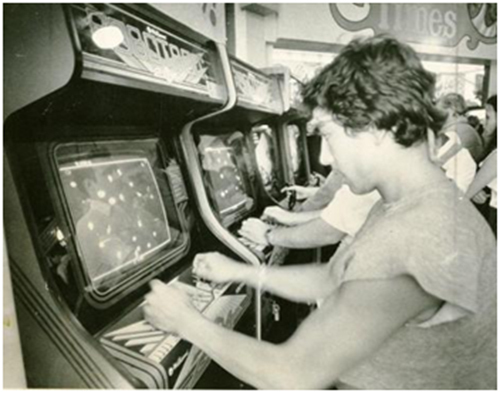 When video games were introduced into arcades in the late 1970s, a new wave of mainstream hysteria kicked off. Granted the video game arcades golden era didn't have the longevity cinema did, in fact after the mid 1980s its popularity dropped significantly. Nevertheless it goes to show how one good medium can have such a profound impact of society. 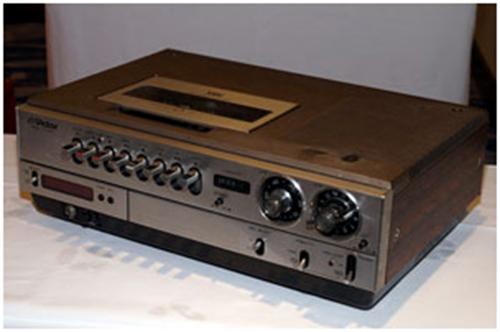 Many still to this day claim that home video (VCR) killed the movie theatre business and as the technology throughout the 1970s was improving more people chose to watch films from the comforts of their home. Film went from something you experience in a social environment to a personal and sometimes domestic practice. Officially the first game console was in the 1950s, but the home video game consoles we know today (connection to a TV set) didn’t become apparent until the 1970s. Consoles like The Magnavox Odyssey and Atari 2600 were the early manifestations of the home console. It wasn’t until 1983 after one of the biggest video game crashes of all time, when Nintendo released the Famicom, where home game consoles really took off. 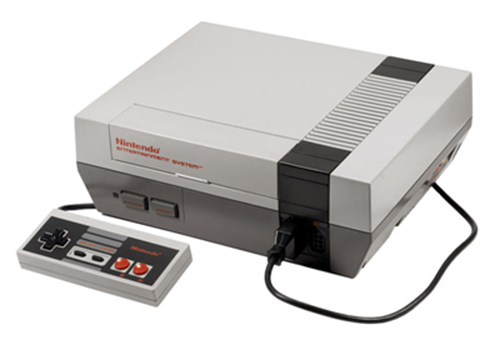 Nintendo eventually released the NES, which not only became the greatest selling video game console of all time, but triggered the new wave of console popularity. 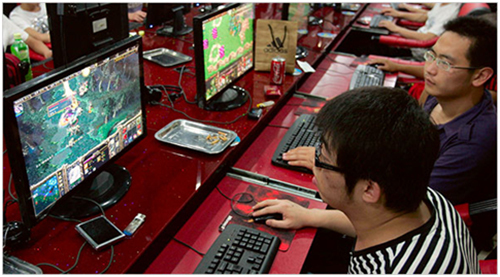 One of the most recent evolutions that link cinema to gaming was the introduction of the internet. The internet has made access to stolen films more available than ever, with torrents and streams film distribution has suffered over the years. 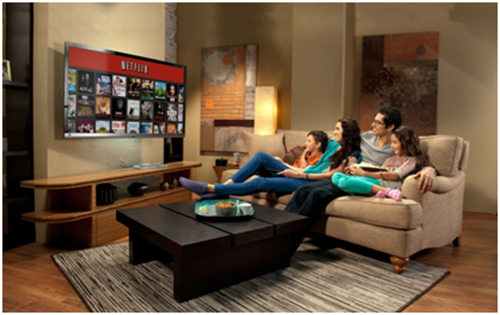 Nonetheless companies like Netflix, Lovefilm and Mubi have attempted to turn that around by allowing film distributors to dispense their movies legally through paid streams and databases. Many film-maker were concerned people watching films off their computers would diminish the cinematic experience. Conversely a study by the NPD Group showed that more people view online films through their television set, rather than their actual computer. In spite of the fact online gaming existed throughout the 1990’s (most notably via the Doom games) it was Microsoft’s Xbox live that brought online gaming into the mainstream. Not long after in 2004, World of Warcraft projected the online role-playing genre into spectacular heights. Clearly this article was not intended to make a case for video games artistic validity, at least in the sense of it achieving the artistic merits we see in film. On the other hand, whether cinema purists want to admit it or not, film was subject to similar criticisms during its development. What made cinema hold its own for so long before it was considered to be the seventh art, was the impact and experience it subjected upon its viewers. This is exactly what the gaming medium is doing now. This is a great post, u mind me quoting some of it? That is some damn good film game research. All art forms get bashed my the critics at first. This is such a great article why didn't you get it published?